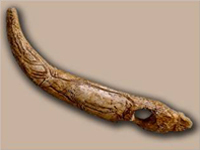 Spain Cave Tour is a custom, private guided tour of the most important prehistoric art sites of Northern Spain, including several important museums. 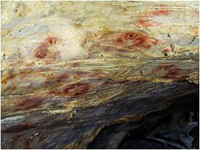 The caves contain Europe´s oldest art, dated at over 40,000 years old and possibly created by Neanderthals. Beyond the caves, we ensure you enjoy the beautiful landscapes, wonderful food and unique cultures of Northern Spain. 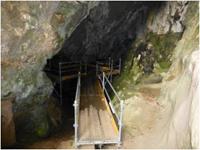 Each of the caves has its own restrictions on entrance and presents unique physical limitations which may not be suitable for all persons. Many present difficult access routes, most of which are not suitable for larger vehicles such as buses. We plan your custom tour based on your group´s dates, size and physical limitations. We limit our tour groups to six persons maximum. We provide all land transportation, transfers and site reservations. 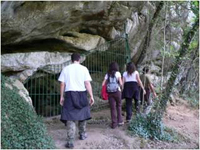 We can recommend and book accommodations based on your preferences throughout your guided Spain Cave Tour and beyond. We travel by private vehicle (not tour bus). 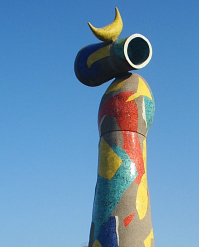 Your local Spanish Chief Experience Officer is a native speaker of both English and Spanish. 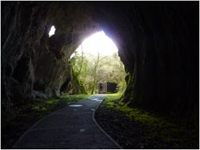 We are based in Cantabria, Northern Spain, home to Altamira and offering the best access to the UNESCO World Heritage site caves in Cantabria, Asturias and the Basque Country. Our tours are customized for your group and can begin/end in any of these regions or beyond. 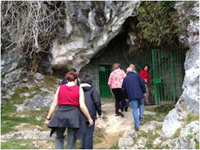 Spain Cave Tour is operated by Northern Exposure Spain, a boutique provider of custom tours in Northern Spain. Owner and Chief Experience Officer, Charles, is a native of Cantabria and will lead your tour. Charles first entered the caves as a young child and hasn´t stopped since. 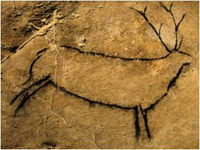 In March of 2014, Charles entered the original Altamira cave as part of the ongoing experiment to determine if the cave is opened on a more permanent basis or not. Read about his experience here. 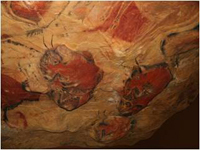 More recently, Charles was invited by the National Speliological Society of the United States to give a webinar about Altamira. Watch the webinar here. 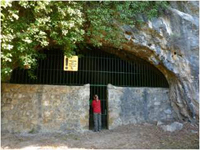 Spain Cave Tour operates year round. Each tour is private and customized specifically to your group´s dates, unique preferences and particular circumstances. We are local and highly knowledgeable with a lifetime of experience. 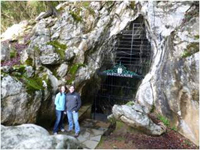 We understand the idiosyncrasies of each of the caves and know our way around Northern Spain. We are very familiar with the restrictions on entry and the physical limitations unique to each of the caves. We design your custom itinerary to ensure your experience is carefree and nothing short of unforgettable. 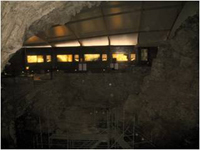 ©2013 SpainCaveTour.com. All rights reserved.